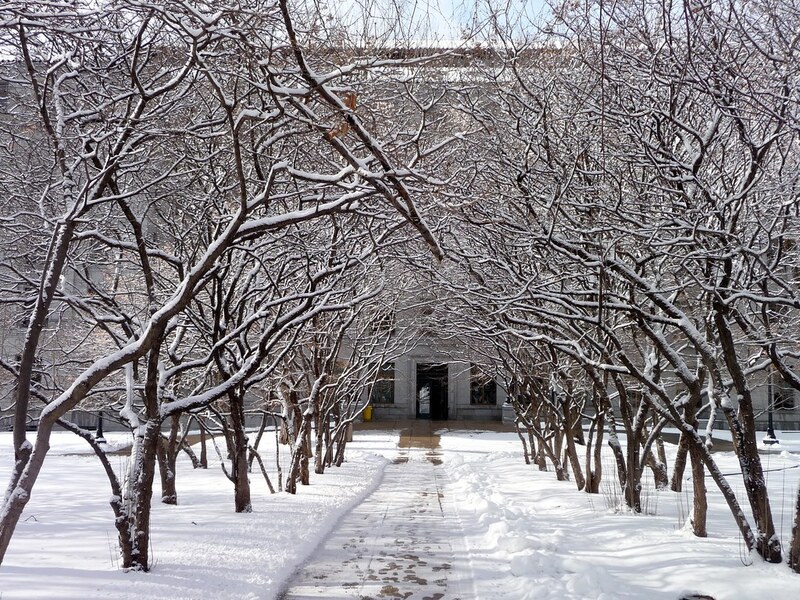 Entrance to the State Office Building, Capitol Complex, St. Paul,. MN. Normally, I'd say that the trees look very festive when frosted by a covering of freshly-fallen snow but it's April 15th today and this crap is getting old.